Your adult child may be able to buy a bigger house if you cosign the mortgage. Cosigning means your income will be figured in when the lender calculates how big a mortgage your child can handle. The catch is that if you cosign a loan, you're legally as responsible for the debt as your child is, even if you don't live in the house. 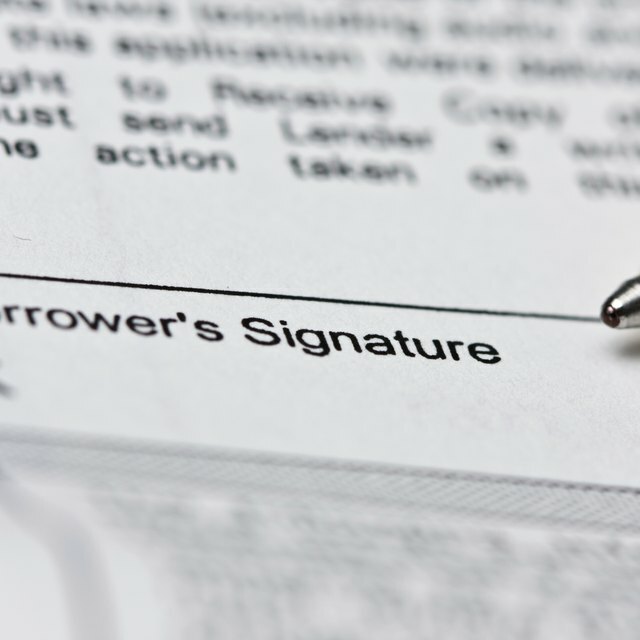 You can put your name on your son's mortgage as either a cosigner or a co-borrower, the Contracts Lawyers website states. As a cosigner, you have responsibility for the mortgage but you don't get your name on the title; as co-borrower, you're also a co-owner. Both cosigning and co-borrowing will help your son obtain a better mortgage deal, as the mortgage lender knows she can try to obtain satisfaction from either you or your son if the mortgage isn't paid. If your daughter stops making payments on her mortgage, the lender can sue you for the missing payments, plus late fees and interest. Your lender doesn't have to go after your daughter first, Lucy Griffin says on the Bankers Online website: You're equally liable, so if your lender thinks you're more capable of paying, he has every right to try getting money out of you. It's possible the lender could garnishee your wages or place a lien on your own house in order to get satisfaction. If your son falls behind in his payments, it wil affect your credit as well: You signed for the loan, the payments are late, so the credit bureaus will treat you as a late payer. Even if everything goes smoothly, cosigning for his mortgage means you now have a very large debt on your credit report. That may make lenders more cautious loaning you money. In the event your son defaults, it might be wise to pay off the back debt, stopping the damage to your credit, then trying to get the money from your son. Rather than cosigning the loan, you can guarantee the loan, Griffin says. This gives you the responsibility to pay if your daughter defaults, but only after your lender has exhausted its attempts to get the money from her. You could also consider other ways to help, such as loaning her enough money for a large down payment, which will allow her to buy a bigger house but doesn't put you or your credit at risk.